Where does sculpture end and geography begin? That was the unshakable question that developed in my head during a recent trip to the Noguchi Museum in Queens. “Does this mean, then, that spatial structures are simply a product of a universal way of looking at the world–that their basic forms are no more than the limited combinations allowed by the mind’s inner logic of classification?”(104). Why do I bring it up? Because visiting the Noguchi Museum did more than answer this (okay, probably rhetorical) question, it rendered it almost entirely irrelevant. “Sculpture,” said Noguchi, “is about a relationship that has nothing to do with message, but people’s place in the world. It is something to be experienced, not just looked at.” Here, we are confronted with the dilemma of human geography. How do you represent cognitive experience? In other words, how do you reproduce the unreproducible? Geography isn’t just the visual representation (i.e. mapping) of people and objects in the world, it is about giving structure to it.”The geometry of location is also the geometry of explanation,”(Gregory, 74). 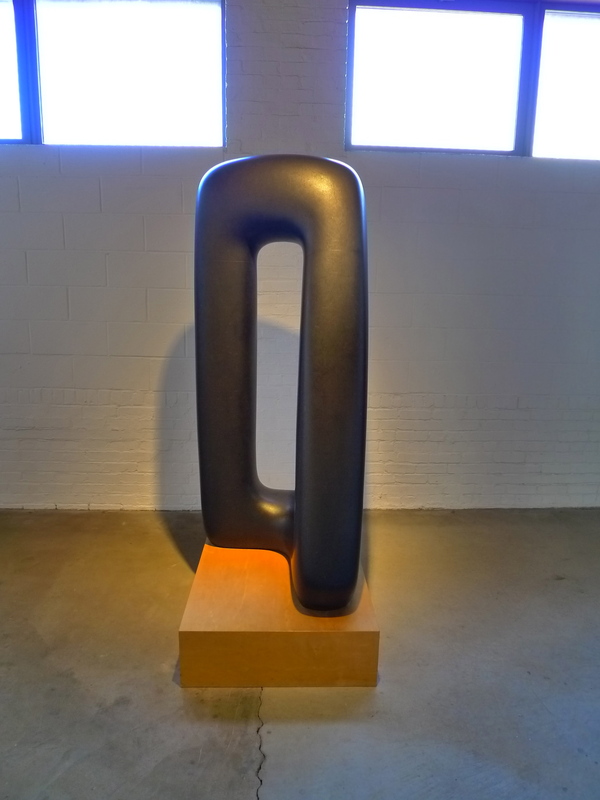 In my opinion, what makes Noguchi’s work so breathtaking is it embodies both the universal and the particular. Although we cannot ‘read’ these objects, they are in many ways a geometry of location and explanation. The sculptures embrace the beauty of chance  and horror of deliberation . These are forms that arise from contradiction, not dichotomy and leave us with a hint of a Burkeian sublime. That sublime is, in many ways, extremely personal . 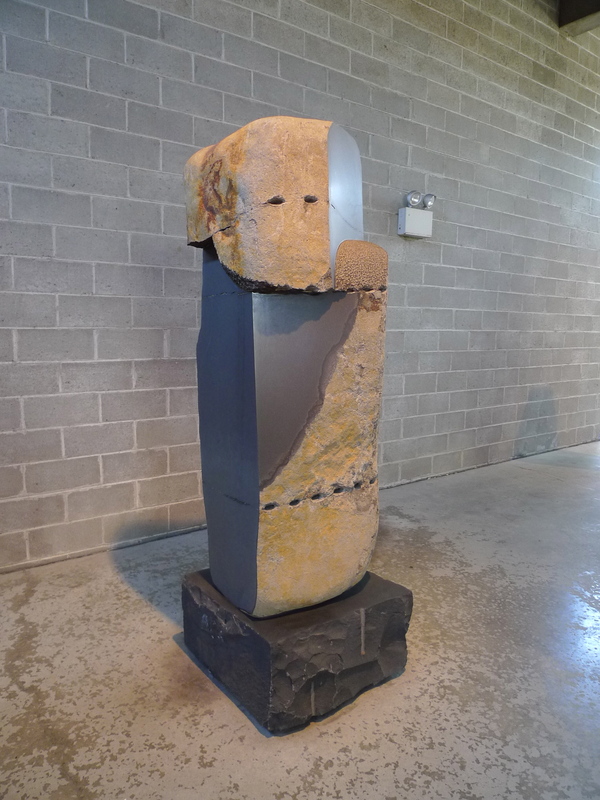 Although Noguchi’s work is most probably described as ‘modern,’ his sculptures and landscape designs do not subscribe to some kind of International Style de-emphasis of place. Unlike his contemporaries, Noguchi doesn’t pretend to eliminate himself from the work. Why? Well, to borrow from Gregory, it is because “Spatial order….reside[s] inside the mind and not inside the landscape,”(104) Or, as Olsson believes, because spatial order can “reveal more about the language we are talking in than about the things we are talking about“(53). I believe Noguchi recognized that to eliminate the self (i.e. the subject) would produce a formless (i.e. meaningless) object, and let’s be clear, abstraction and formlessness are not the same thing. In 1927, Noguchi moved to Paris to study with Constantin Brancusi. Although he admired Brancusi’s ability to distill as opposed to reproduce form, Noguchi was wary of Branscui’s prophecy (“You are the generation that begins with abstraction”). During the decades in between the wars, Noguchi continued to embrace portrait sculpture, worked with Diego Rivera on murals in Mexico City, and took advantage of the many place-based commissions he was receiving, like the Associated Press Building Plaque at Rockefeller Center. This is the weirdest, most unreal situation–like a dream–I wish I were out. Outside, it seems from the inside, history is taking flight and passes forever. The following November he left Poston. No longer interested in “message-laden work,” he moved to New York, established a studio in MacDougal Alley, and began working on his first illuminated sculptures. In 1960 he moved to Vernon Boulevard, Queens in order to be near the marble and stone suppliers. He eventually bought the old photengraving plant which is the now the museum. Noguchi was a man interested in “how to transform but not destroy,”(Noguchi) the material he was working with. This is, in many ways, also the task of the geographer. In both we see what Levi-Strauss describes as the attempt to establish where nature ends and society begins. While one is perhaps more literal than the other, both play off one another and remind us that yes, perhaps Gould is correct. He often described his work as “a record of accidents” and would leave a piece alone for years in order to ‘heal’ and allow its beauty to re-emerge on its own. “Let stone be stone” he would say. Noguchi was also infamous for keeping his best work for himself, something that infuriated many of his dealers. Gregory, Derek. Ideology, Science and Human Geography. New York: St Martin’s Press, 1978. Gould, P. ‘Some Steineresque comments and Monodian asides on geography in Europe,’ Geoform, vol. 17, pp. 9-13. Olsson, G. ‘The dialectics of spatial analysis,’ Antipode, vol. 6, no. 3, pp.50-62.